Jennifer Black is a mother of two kids. While pregnant with her oldest, she became aware of issues with the vaccine program and started him on a delayed schedule for the first 10 months of his life. Before he turned 1, she and her husband decided to hold off on any further shots until he was older. Ultimately and after an exhaustive healing diet, they never returned to that method of healthcare as they gained more knowledge about their family’s biological disposition, genetic profile and his concerning delays in speech. She is thankful for those that have come before her that have brought a much needed spotlight to a very generalized, “one size” fits all program that is ultimately making our country sicker. Jennifer is an advocate for freedom of personal choice, protecting parental rights, self-responsibility, and making sure our elected individuals are working for their constituents. 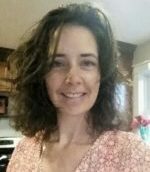 Jennifer has a Bachelors Degree in Business Management – Information Systems from Kennesaw State University and runs her own bookkeeping business. She is also serves on the board of a non-profit.